// Include Ajaxscript - Add this code at the end of the function.php file of your selected WordPress theme. 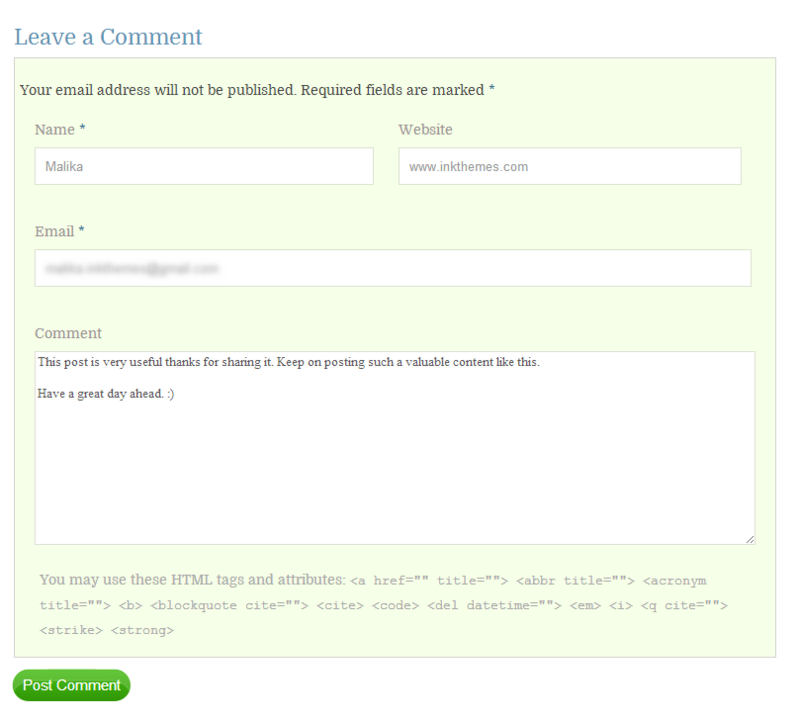 Ajaxify Comments -> hooks into your comment form and adds AJAX functionality - no page reloads required. 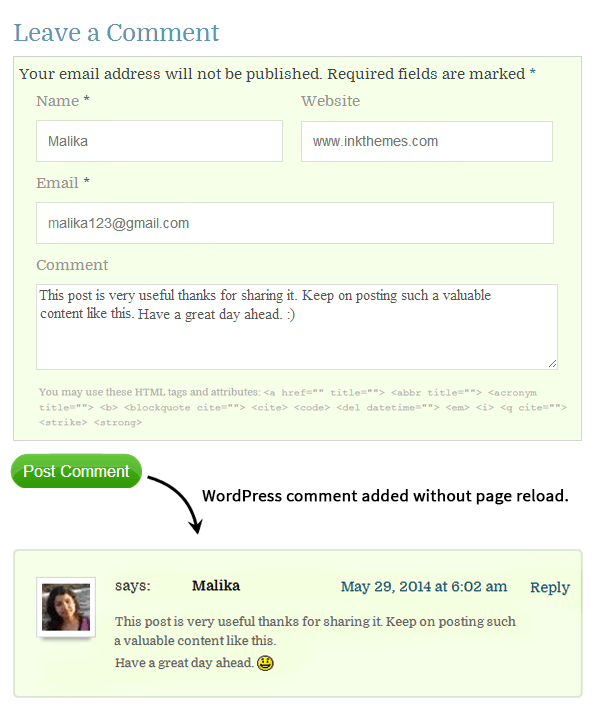 When the comment form is submitted, the code will sends the data to the WordPress backend without reloading the entire page. You can customize this code according to your requirement. <div class="comment-meta commentmetadata"><a href="http://localhost/WordPress_Code/?p=1#comment-'. $commentdata['comment_ID'] .'">' . <a class="comment-reply-link" href="'. $url . '&amp;replytocom='. $commentdata['comment_ID'] . 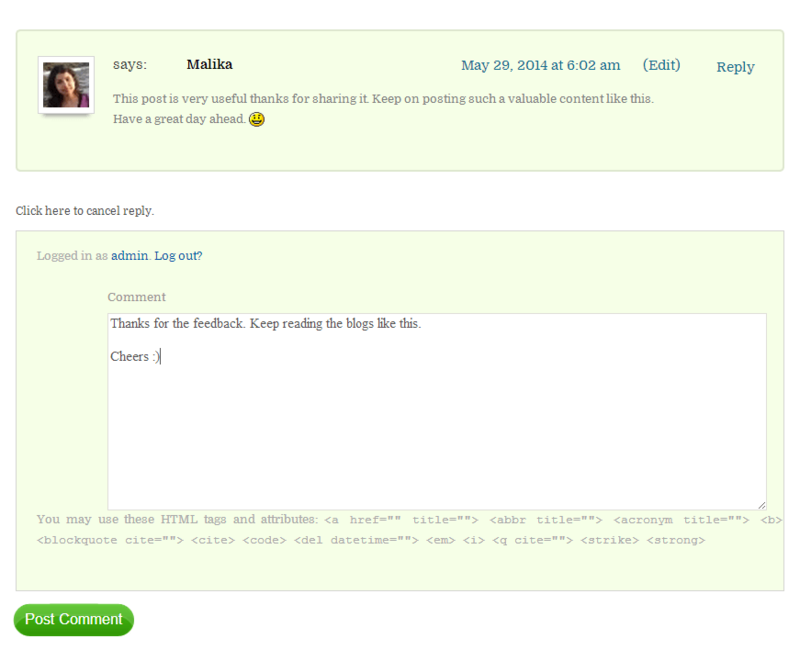 '#respond"
<a class="comment-reply-link" href="'. $url .'&amp;replytocom='. $commentdata['comment_ID'] . '#respond"
Copyright © 2017 晨风 All rights reserved.